Always wear eye protection while using the mill. 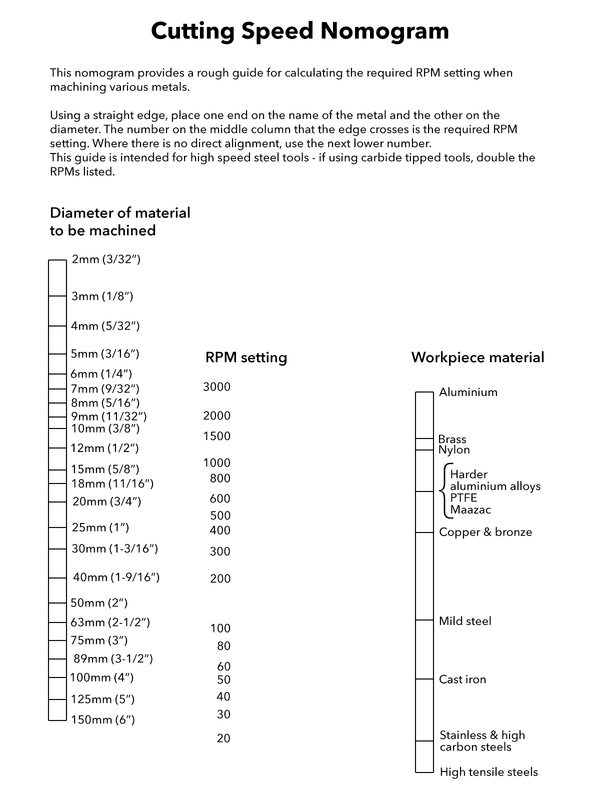 Do not use the mill if you do not know how to use this type of machine. If used improperly; workpieces of pieces of cutting tools can be thrown around the shop at high velocity. Mill is a Long Chang LC-15A. Very little info for this mill is available online. The following information was measured from the mill and may be inaccurate. To move mill head up and down (major vertical adjustment); you need to loosen two bolts on the right-hand-side of the head, and use the crank on the left-hand-side of the mill to raise or lower. Retighten securing bolts before use (when untightened, crank has huge slop). Z - large grab handle on right of mill, or handwheel on front of mill. Black locking ring on grab-handle on right of mill engages/disengages handwheel. This axis can be locked via the small black lever on the front-left of the mill head. We have a drilling vise intended for use with this mill that clamps to the mill table. We have a set of 1/2in T nuts + fingers + step blocks for the CNC mill that will also fit this mill. 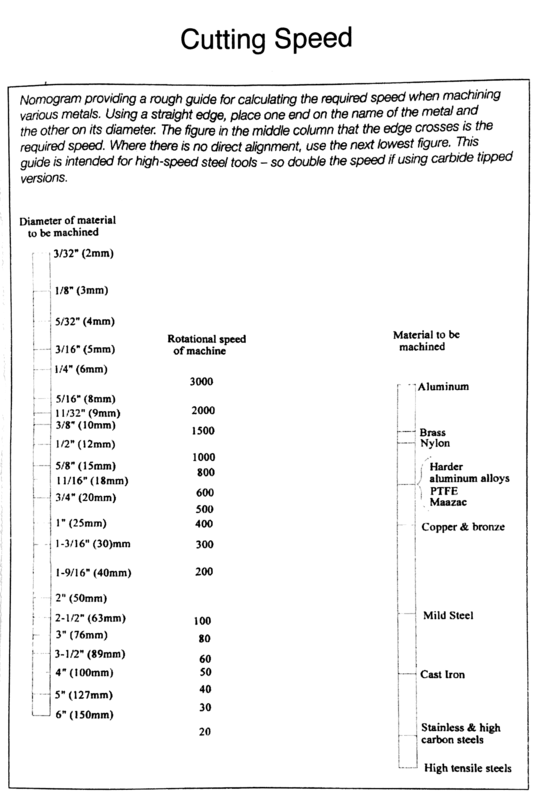 Cutting speeds can be determined easily by using this cutting speed nomogram. The original cutting speed nomogram came from Ian at the BCSME. A written tutorial won't suffice! Don't touch the machine unless you've received training!